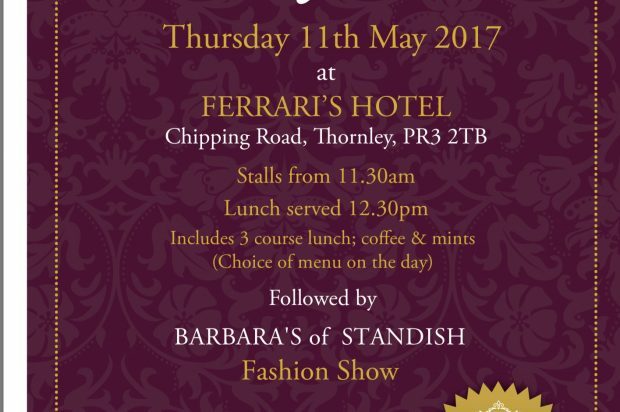 Thursday 11th May 2017 at Ferrari’s Hotel, Chipping Road, Thornley, PR3 2TB. Stalls from 11.30am, lunch served at 12.30pm. Includes 3 course lunch, coffee and mints. Choice of menu on the day. Followed by Barbara’s of Standish fashion show. Admission £25 by prior booking only.